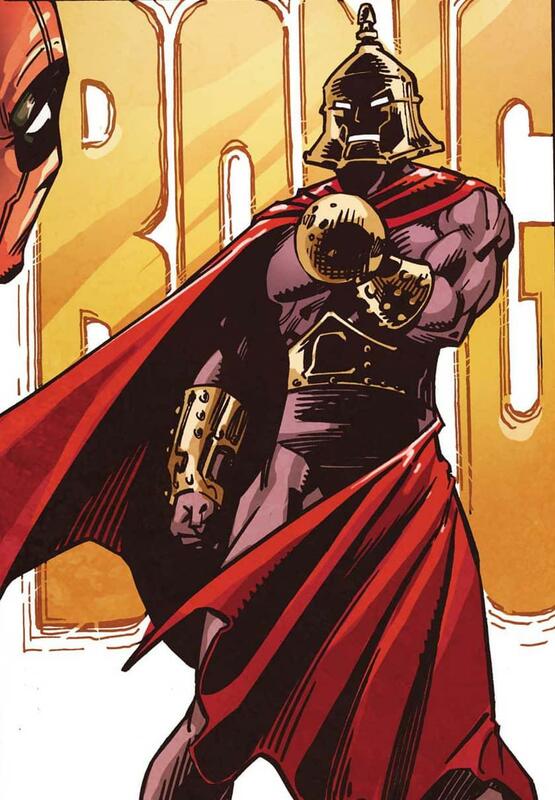 The Marvel Universe is filled with doctors—Strange, Doom, Voodoo, Octopus—but one rings a bell more than any other: Bong! Howard the Duck’s longtime nemesis ranks as one of the most unique Super Villains ever, as a brief perusal of his harrowing history will clearly illustrate. Get ready to be Bong'd! Journalist Lester Verde lost a hand in a guillotine accident, but instead of losing his head over it, he transformed himself into a macabre master of men: Doctor Bong! With his background in chemistry and physics, Verde fashioned a helmet and ball-glove with which he’d be able to ring in strange effects by simply bringing the two together. Thus, as Bong, he set out to do what any unhinged weirdo Super Villain would do with the same opportunity: kidnap his college crush! Unfortunately for the Doctor, Beverly Switzer’s close companion at the time of her abduction was a talking anthropomorphic mallard trapped in a world he never made, and so Howard the Duck became Doctor Bong’s arch-enemy. The two clashed violently over Beverly, but in the end, Bev appealed to her ill-gotten husband’s paternal instincts and left him with a quintuplet of clones to raise as his own. 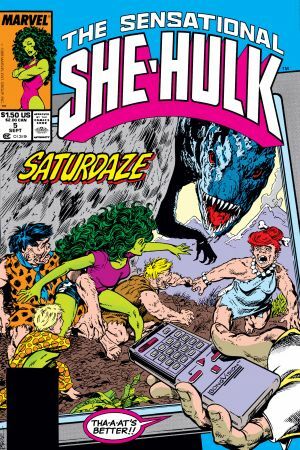 For the bell of it, read HOWARD THE DUCK #15-20, #24-32, and SENSATIONAL SHE-HULK #5! Alas, Doctor Bong sprang back into practice when his never-before mentioned psychology degree brought him none other than Deadpool as a patient. Following that, he re-upped his villainy by changing Howard the Duck into a mouse during a time he ran a company creating boy bands for mass consumption. The Daughters of the Dragon found Bong drowning his sorrows in a bar when they made the rounds searching for information on a case, and so too did Spider-Man not long after. Perhaps somewhat straightened up, the Doctor later found his eras ringing from the Grandmaster’s latest game: roller derby. 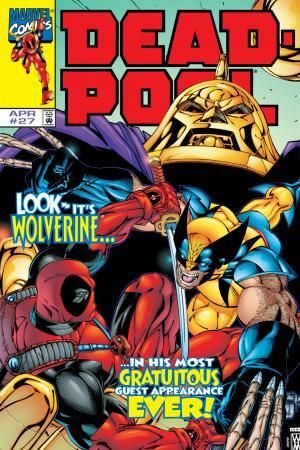 For the bell of it, read DEADPOOL #26-27, DAUGHTERS OF THE DRAGON #3, and AMAZING SPIDER-MAN #552! Doctor Bong got down and got serious when he cloned Captain America, Moon Knight, and the Black Widow in a scheme to rope Deadpool into a team-up. He lost a hand in the aftermath of that one, thanks to the Merc with a Mouth’s keen katana. From there, Bong wound up in a support group called Super Villains Anonymous, which most likely helped him enough to then hire the Headmen to break into a building holding a device with which he could try to become a god. Things really converged at that point for Doctor Bong...but not in a good way. He encountered a merged being comprised of his two arch-foes, Howard the Duck and Deadpool, and rang down the curtain on a subsequent adventure with Deadpool and Spider-Man. For the bell of it, read DEADPOOL #28-29, SUPERIOR FOES OF SPIDER-MAN #3, AMAZING SPIDER-MAN ANNUAL #1, DEADPOOL THE DUCK #4-5, and SPIDER-MAN/DEADPOOL #41! 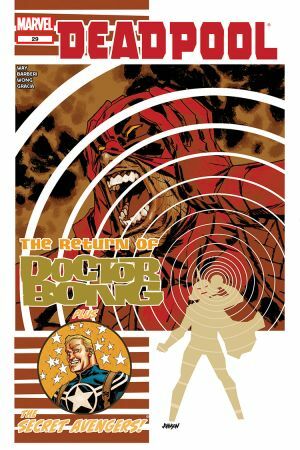 Look through all of these Doctor Bong books on Marvel Unlimited right now!